FRANKFORT (July 7, 2017) — Several hundred Kentucky youth will learn hands-on gardening and cooking skills this summer thanks to a Kentucky Department of Agriculture (KDA) “Ag Tag” program grant awarded to nine clubs in the Kentucky Alliance of Boys & Girls Clubs. The grant was facilitated by the Kentucky Agriculture and Environment in the Classroom (KyAEC), a non-profit organization that promotes an understanding and appreciation of the system providing food and fiber for people. The “Ag Tag” program is funded by voluntary donations from motorists when they buy or renew their farm vehicle license plates. Each participating club received funds to support their garden and cooking activities over the summer. Four clubs were selected to participate in an agriculture literacy day program in July, in which the KyAEC and the KDA will provide Mobile Science Activity Centers and several other hands-on learning activities to help children learn how agriculture affects their daily lives. In 2016, the Kentucky Small Grain Growers Association approached KyAEC to develop an education program for the participating clubs. Farmer leaders had been helping their local clubs and became interested in increasing agriculture literacy in clubs statewide. Their financial support, as well as support from the Kentucky Beef Council, helped KyAEC initiate a relationship they hope to continue. The Kentucky Alliance of Boys & Girls Clubs also believes this is a positive partnership that will help them achieve their mission. The agriculture literacy day programs will be held at clubs in Bowling Green, Fort Knox, Franklin, and Glasgow. Commissioner Quarles will visit the Fort Knox Devers Youth Center on July 19 to engage with Boys and Girls Club members as they learn about Kentucky food and farms. For more information about the Kentucky Agriculture and Environment in the Classroom, visit www.teachkyag.org. 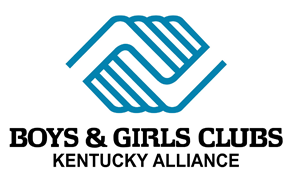 To learn about the Kentucky Alliance of Boys & Girls Clubs, visit www.kyalliance.org.